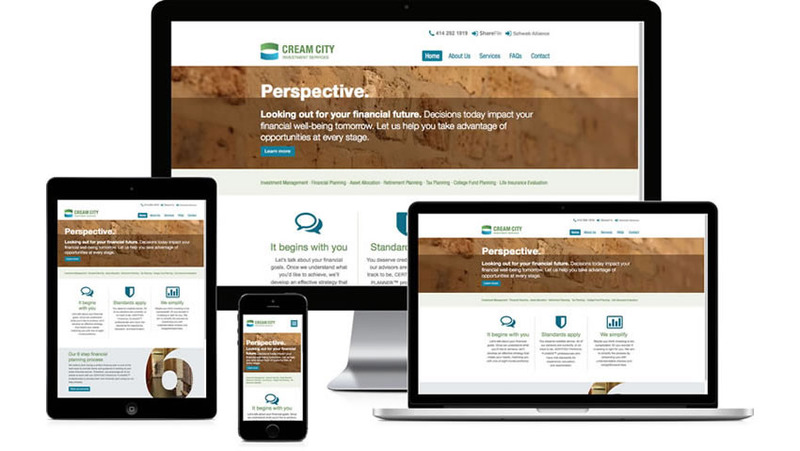 Cream City Investment Services reached out to Becker Design to create brand identity, including logo design, print materials and a website for their new business initiative. Located in the historic Third Ward of Milwaukee, Cream City is a division of Diversified Management Inc. (DMI), a financial services firm catering to high net worth individuals. The goal of Cream City was to make the investment knowledge and personalized service of DMI available to a broader range of investors: executive-track professionals and managers, creative entrepreneurs, and young families.